Street foods in any country taste SUPER..that’s the only way to get the real flavor of that place. I was watching thai street food video on You Tube. On that video, i saw a delicious recipe of – creamy thai street Banana egg pancake. after watching the video I thought it is an okay dish but not that great. I showed this clip to my hubby who is my food Taste Taster 👌👊👉👇👇, and he told me try it. Give it a try and you are sure to enjoy the treat that you can only get in the streets of Thailand. Try with different fruits and your favorite chocolate syrup etc. This dish won’t disappoint you & your kids any time. 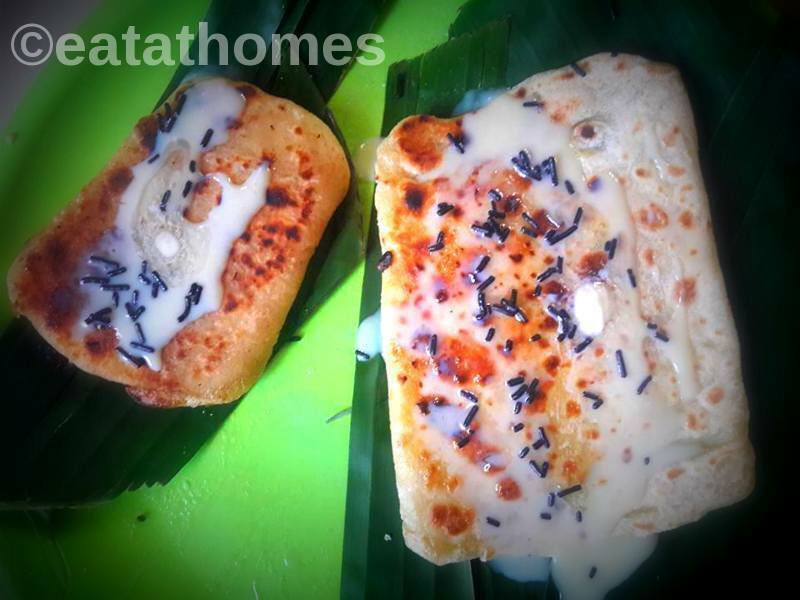 You can skip an egg also add Nutrella or variety of fruits but banana make this roti’s taste heavnly…. For the dough: Combine the flour and salt, and slowly incorporate the water a few tablespoons at a time, while mixing with your hands. Once a mass of dough is formed, begin kneading it on a flat surface for about 8-10 minutes. If the dough is too sticky, sprinkle in a little flour, until the dough feels smooth. Roll the dough into a log and pinch off palm-sized dough balls. Place them in a bowl and submerge them in vegetable oil. Let them rest for a few hours or overnight. Slice bananas into rounds or lengthwise. Whisk eggs in a bowl and mix in the bananas. Set aside. Heat butter on a griddle or wide pan. Gently lift the roti dough onto the pan, and add some of the banana egg mixture in the center. (Be sure to divide the mixture per serving). Fold the 4 edges over the mixture, and add a small dollop of ghee on top. Allow the roti to brown for a few minutes, and then quickly flip over to crisp up on the other side. 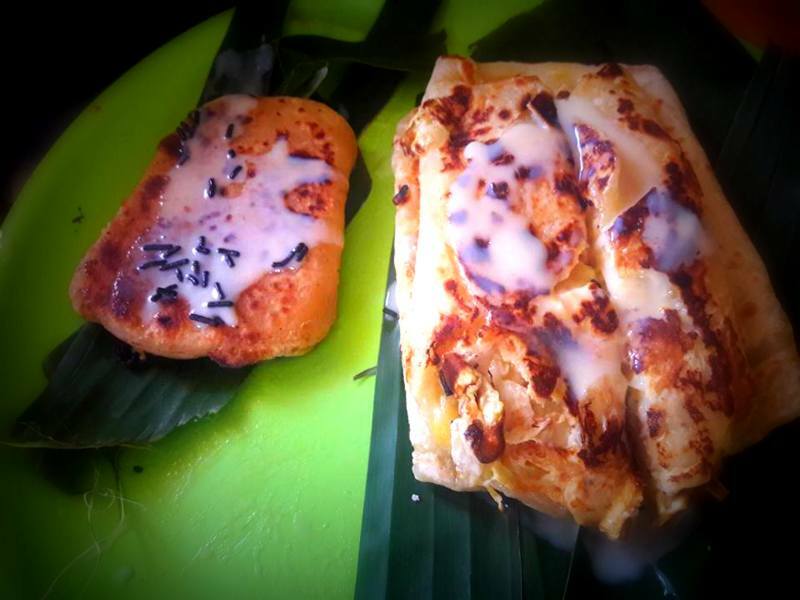 Cut into squares and drizzle condensed milk and chocolate sauce on top. You can skip chocolate .